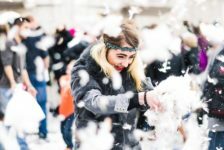 Traditional marketing techniques such as flyers or print ads are still an excellent tool to use as part of your overall marketing strategy. 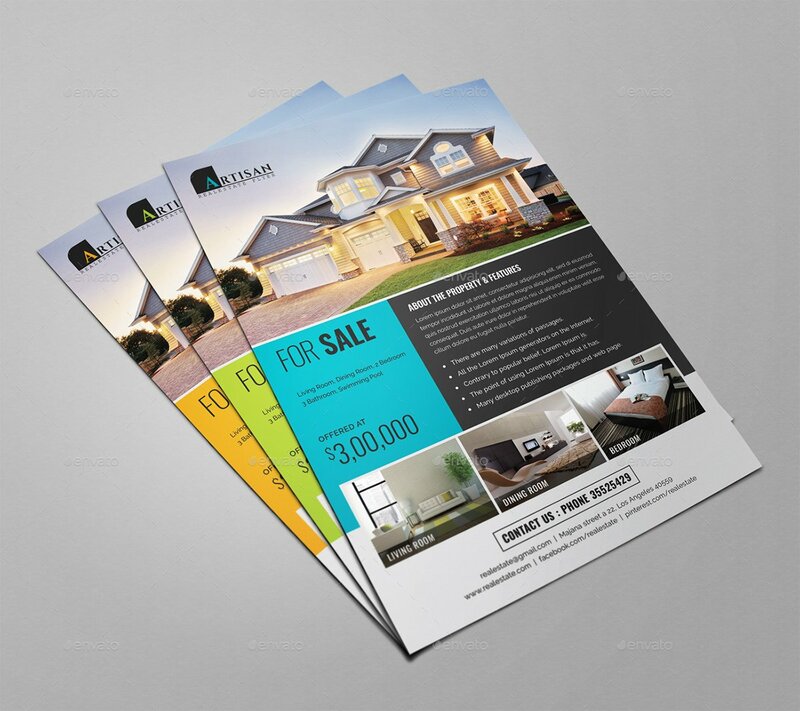 Real estate flyers especially are still incredibly useful, after all, you plan on handing out an information sheet to open house visitors don’t you? 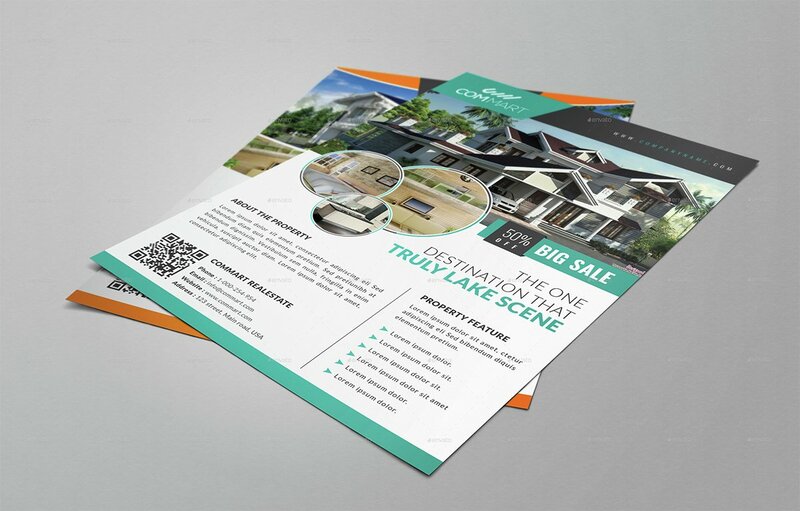 Instead of throwing together a minimal effort flyer using something like Microsoft Word, for less than $10 and a little bit of Photoshop experience you can stand out from your competition with amazing looking flyers that take very little time to put together. 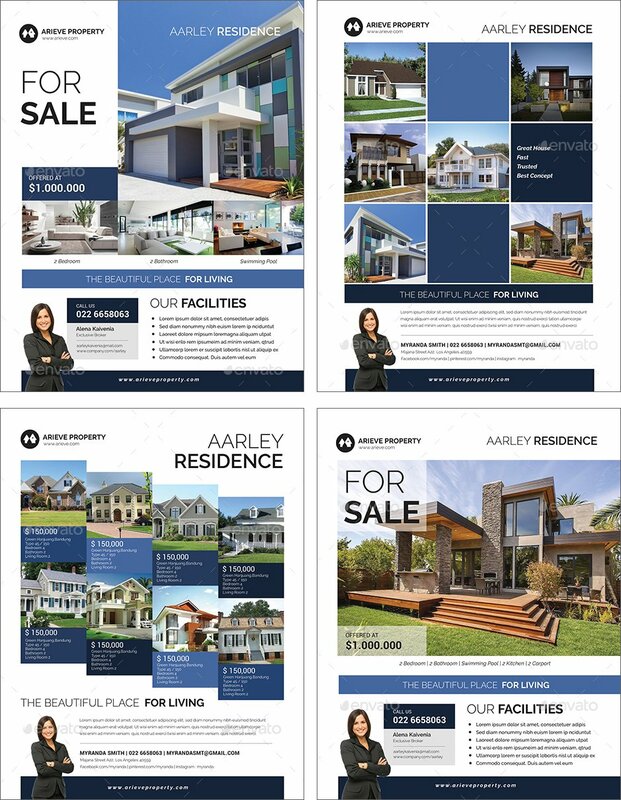 There are a ton of great real estate flyer templates out there designed by professional graphic designers that look amazing, professional and really showcase the homes you’re trying to sell. All you need to do is edit the text and photos of the template and you’re good to go. 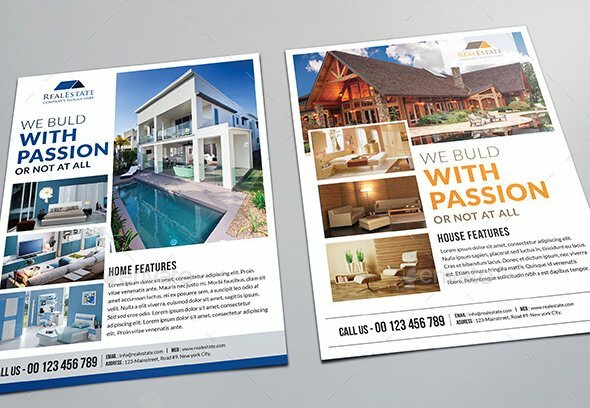 Here are 10 of our favourite flyer templates that you can hand out at open houses or even use as ads in your local newspaper or magazines. 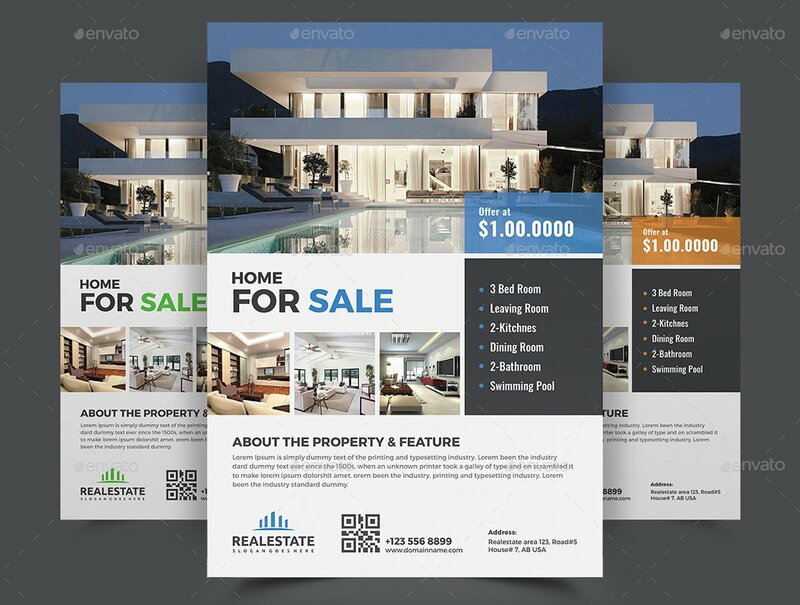 This flyer is great for showcasing the price of the listing and has multiple spots to include photos while keeping an overall minimal, clean look. 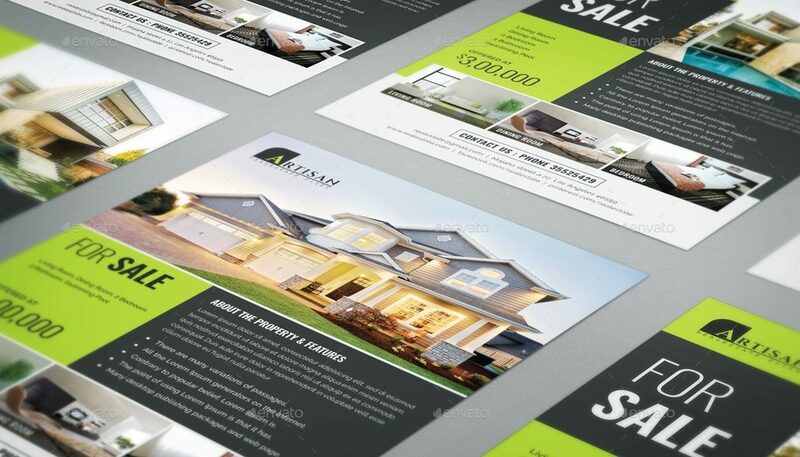 This is a great bold design that really gets your attention while still keeping everything clean and professional. This template also comes in Green, Blue and Orange color variations. 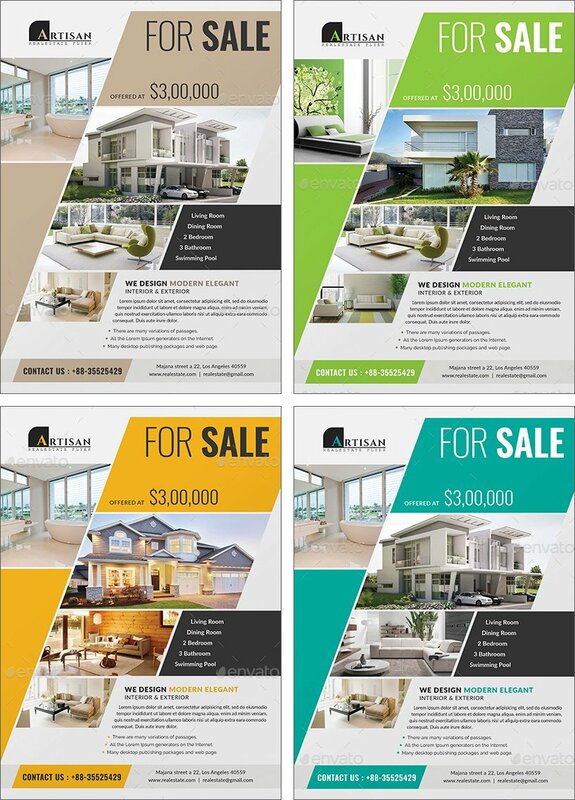 This is an excellent modern looking flyer design that comes with 3 color variations. This template has a very cutting edge and unique design. 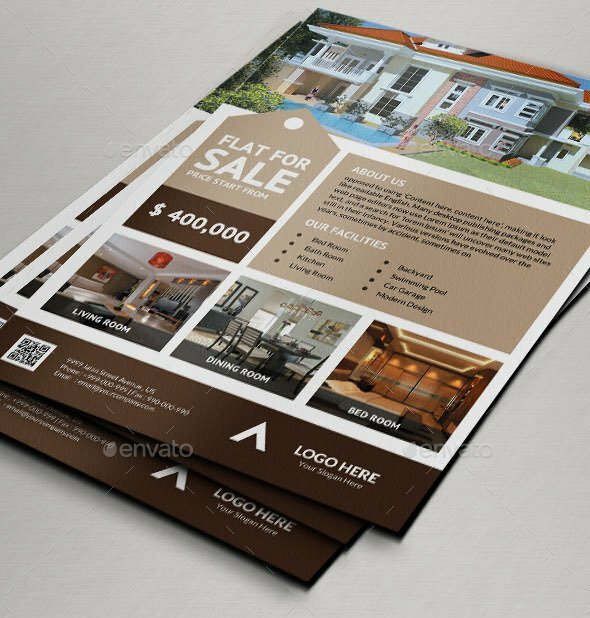 It comes with 4 color variations and can easily be used as a print ad as well. Another beautiful template with a clean and simple design. We especially like how prominent the phone number at the bottom is. 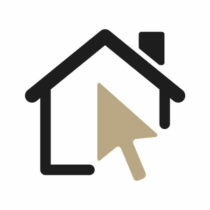 This is a different sort of design with more curved edges. 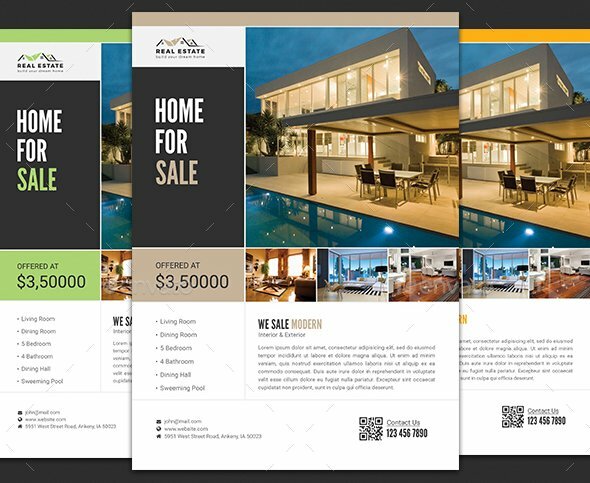 This template comes with 2 different layouts with 2 color variations for each layout. This template has another great simple and clean design and the phone number is very obvious at the bottom. This template comes with an option to add an agent photo but you’ll need to have a photo of yourself with the background already edited out. This template come with 4 variations including one that shows multiple listings. 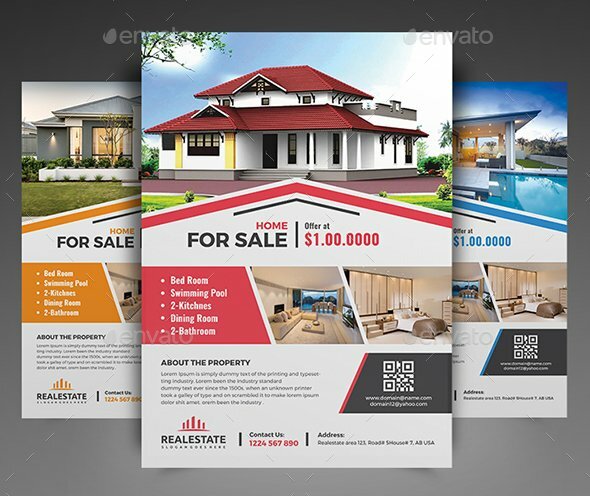 This last flyer incorporates the roof of a house into its design which is a pretty neat touch and comes with 3 color variations. Templates like these are designed to be easy to use even if you have minimal Photoshop knowledge. All you really need to do is replace the photos and text with your own, everything else is taken care of. 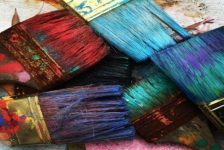 If you’re a little bit more confident with your Photoshop abilities however you can edit anything you want. The color variations are there to make things easy but you can change the colors to anything you want and move elements around however you want as well. A final thing to note is that not all of these templates come in U.S. Letter size. 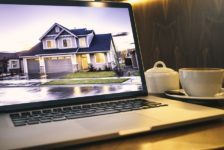 Some are A4 sized which shouldn’t be a problem if you’re going to take these to a professional printer but if you’re printing them yourself on a home printer keep in mind that there might be some resizing you’ll have to do. The featured image for this post is from this template.